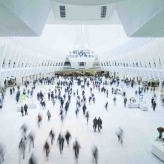 Urban mobility is becoming ever more diverse: electric cars, trucks, and motorcycles are an increasingly common sight now, as are electric scooters, hoverboards, and e-bikes alongside traditional human-powered bicycles, skateboards and in-line skates; not to mention walking. In cities, however, there are still only three basic types of surfaces accommodating these diverse mobility modes, each serving a different speed: the roadway, the sidewalk, and if we’re lucky, a bicycle lane somewhere in-between. In most cases, bike lanes are either a part of the roadway, a part of the sidewalk, or an alternating combination of both. Bike lanes are usually an after-thought that “takes away” space from either motorists or pedestrians. 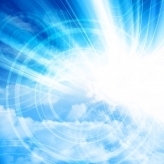 Yet the demand for bicycle infrastructure is growing, precisely due to the popularity of urban bicycles and other, newer types of personal transportation devices. There are, nevertheless, cycling infrastructure works designed as such from the outset; as the following six examples show. Whether for parking bikes, bridging over water or roadways, or helping cyclists climb a hill, each of these infrastructure works serves cyclists. 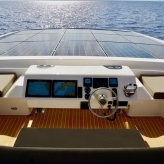 While some are playful and others futuristic, all are nevertheless practical and convenient. 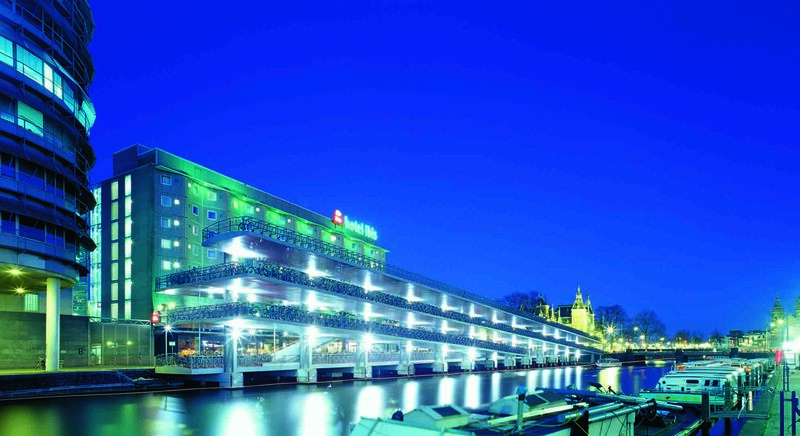 Parking a bicycle safely and securely is a problem in many cities, so in the late 1990s, Amsterdam city council decided to commission a bicycle storage facility in front of its central train station, where demand for such a service far exceeded availability. VMX Architects came up with a long, ramped structure built over a canal with space to park 2500 urban bicycles(!). Its long, stretched-out form, gentle gradient and series of switchbacks makes the ramp easy to ride up while achieving a height of three stories. 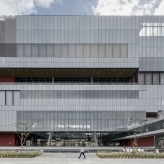 The upper end of the ramp forms a belvedere that offers spectacular views of the city. Still in Amsterdam, the Nesciobrug bridge by Wilkinson Eyre Architects is another impressive piece of urban bicycle infrastructure. 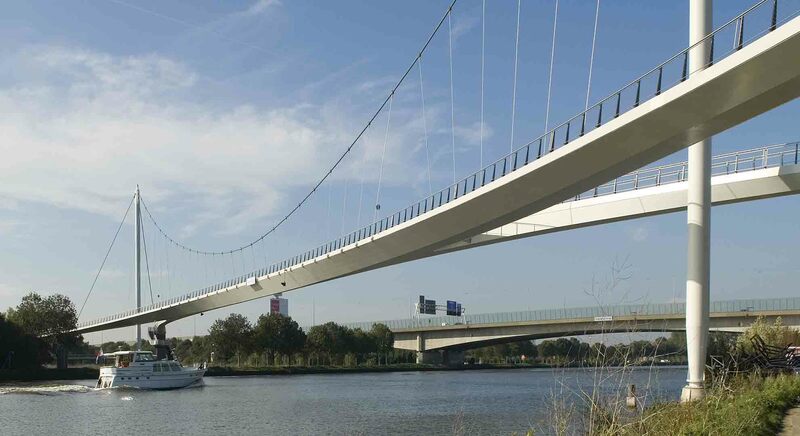 This curved suspension bridge crosses the busy Amsterdam Rhine Canal, connecting the city with the new suburb of IJburg. It has a free span of 170 m and provides a 10 m clearance for maritime traffic. The bridge’s “split ends” connect with bicycle paths on land by way of curving off-ramps that make for a smooth, highway-like ride. 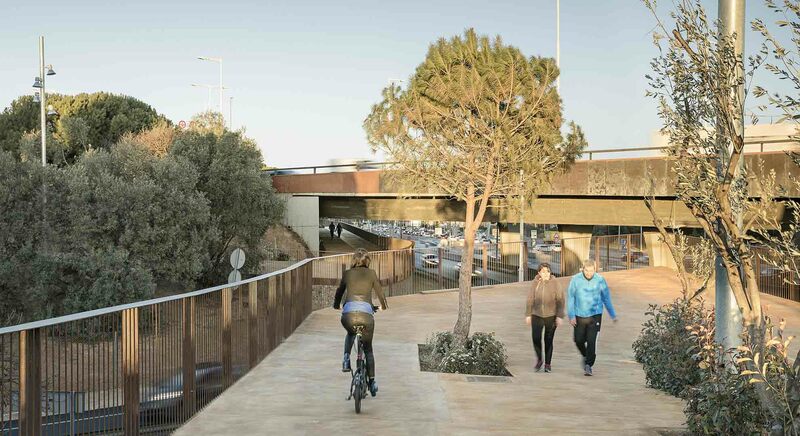 Bicivia 7 is a new cycling and walking path that winds through a busy freeway interchange in Barcelona. 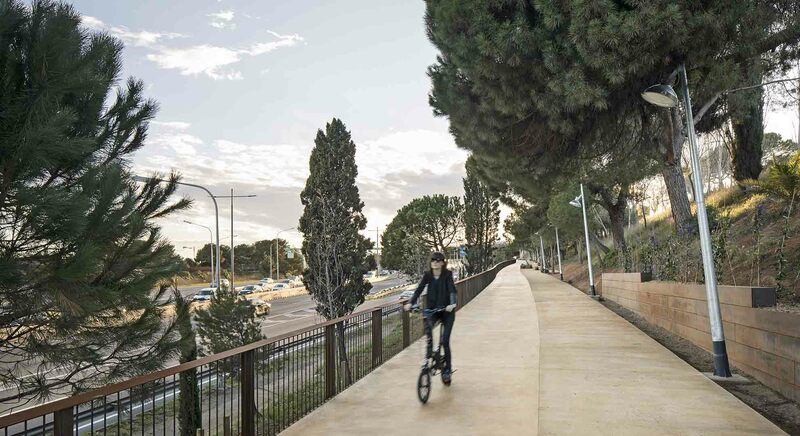 Although it is only 800m in length, this piece of infrastructure now makes it possible to walk or cycle from the neighbouring town of Esplugues to Barcelona’s main university campus, overcoming a major metropolitan barrier. Designed by Batlle & Roig Arquitectes, Bicivia 7 had to be circuitously routed over and under several highway offramps and viaducts. Along the way, benches offer places to rest while new trees provide welcome shade in summer. The Cykelslangen, or Bicycle Snake, is a 220m long sinuous fly-over exclusively for cyclists on Copenhagen’s waterfront. Designed by Dissing and Weitling Architects, it connects a shopping mall with another, longer cycling-pedestrian bridge that crosses the South Harbour; flying over a busy public bath while ramping almost 6m in height. 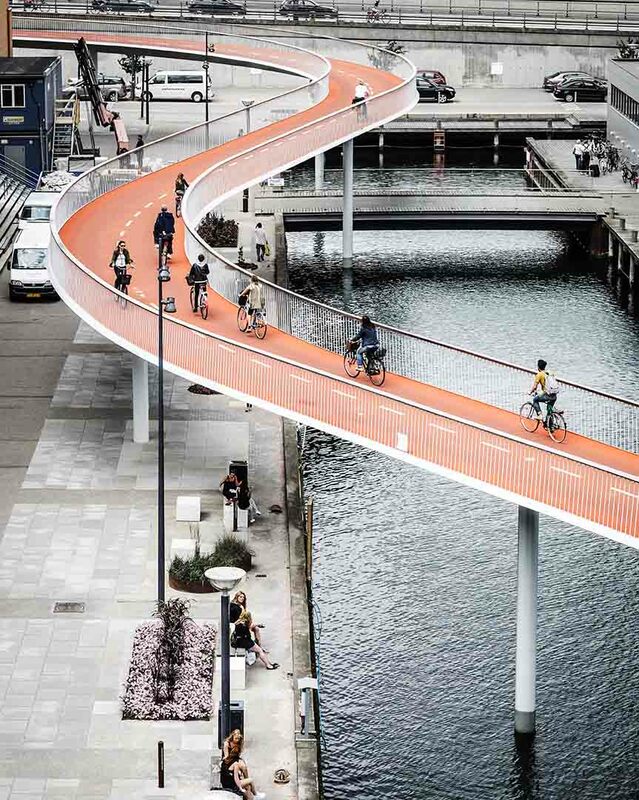 Although the main purpose of this bridge is to vertically separate speeding cyclists from leisurely bathers and shoppers, its serpentine shape, which lessens the ramp’s slope, has already made it into one of Copenhagen’s most iconic structures. 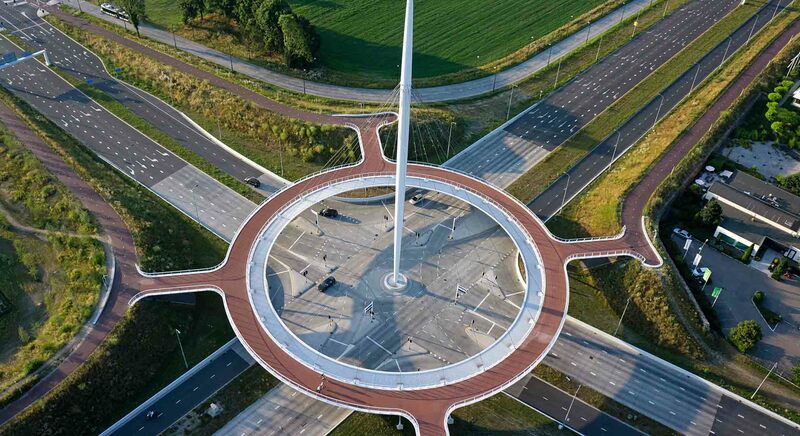 The Hovenring Suspended bicycle roundabout in the Netherlands, by ipv Delft Design Agency, is another example of an infrastructure work that serves to vertically separate urban bicycle traffic, but this time from motorists. The 72 m diameter circular bridge is suspended from a 70m tall central mast and 24 cable stays over a busy road intersection. The vertical separation smoothens the flow of both automobile as well as urban bicycle traffic, though out-of-breath cyclists may find that the air quality above that intersection during rush-hour stinks. 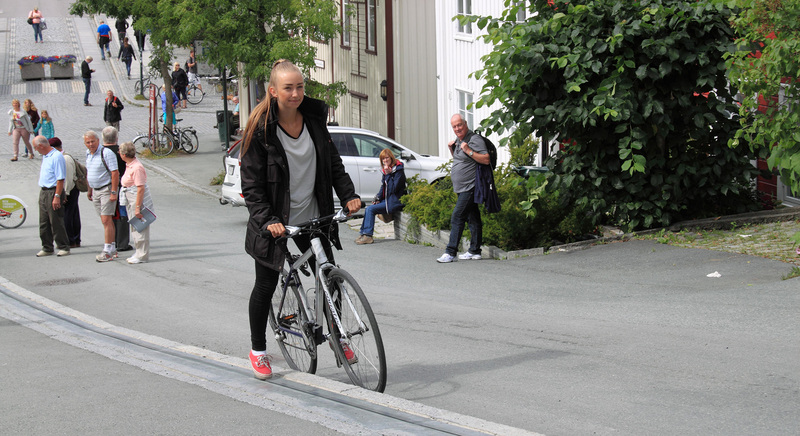 The CycloCable bicycle lift, originally designed by Jarle Wanvik in 1993 and rebuilt in 2013 by the Poma skilift company, is a discreet cable-tow embedded in the kerb of a sidewalk designed to help cyclists make it up one a steep street in Trondheim, Norway. All a cyclist has to do is stop next to the machine housing, place their right foot on a steel pedal, hit the “go” button, and the pedal starts moving up the hill, pushing the cyclist while still seated on their bike. After some practice, new users get the hang of it. 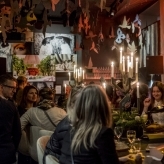 It is reputed to be one of Norway’s most visited tourist attractions. 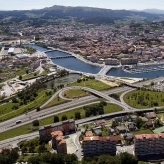 Each of these pieces of cycling infrastructure share a similar intention: to make it easier, safer and more enjoyable to use urban bicycles and other personal transportation devices in cities, thereby improving the quality of city life for all.